Hello there Rochester and fellow friends! Only a few weeks left until Christmas and the clock is ticking. Tree up? Check. Presents bought? Halfway Check. Presents wrapped? Not even close. Eeeek!! The holidays can feel overwhelming, but I am looking forward to that feeling where you have wrapped that last present, you pour a nice glass of Pittsford Farms Dairy eggnog and you put your favorite holiday movie on to sit back and relax. Keep pushing, you're almost there. To help you with this last minute scramble, I put together a personal list of local Rochester gifts that may come in handy as you're searching for what to buy that person you love or appreciate. All of these gifts can be purchased locally and the majority can be ordered online. Helping support our local businesses keep our community thriving & our economic engine going strong. So let's SPREAD THE LOVE this season and make this holiday one to remember. These gifts make ideal holiday, birthday, anniversary, or just because kind of gifts. You can use this guide year round. Now let's get shopping! 1 HEDONIST ARTISAN CHOCOLATES, 674 South Ave., 585.461.2815. Handcrafted chocolate, you say? All day, everyday I say. Owner & Chocolatier, Jennifer Posey take great pride in her artisanal approach across her chocolates and ice cream. Here in the South Wedge, you will find everything from classic chocolate truffles to more innovative flavors like Pistachio Ginger or Chocolate Sesame Bark. They do not discriminate here and will surprise your taste buds in the best way possible. Hedonist partners with other local businesses such as Fingerlakes winery, Ravines Wine Cellars. If you ever visit Ravines either in Keuka or the Seneca Lake Tasting room you can partake in a Hedonist Chocolate and Ravines Wine Pairing. For your special gift, I would suggest picking up either the chocolate sesame bark or the bittersweet truffles from Hedonist and stopping by your local liquor store for a bottle of the Ravines Wine Chardonnay or the Meritage Blend. The saltiness of the Chocolate Sesame Bark pairs quite well with the buttery notes of the Chardonnay & the robust flavor of the Meritage will contrast nicely with the dark chocolate truffles! To bring this present to life even more, promise to bring them to the tasting room at Ravines in Seneca Lake for a $6 pairing for a flight of wines and chocolate. What a fun, experiential, and supporting local present to give! Cost: Chocolate Sesame Bark ($10), Classic 5 Piece Bittersweet Truffles ($5) Ravines Wine ($20-$25). 2 HART'S LOCAL GROCERS, 10 Winthrop St., 585.521.4278. Remember that time I told you about the 5 Reasons to Love Hart's Local Grocers? Get ready to fall in love with them even more. Not only can you get your grocery shopping done, but you can get all your local holiday gifts picked out in one round, wrapped and ready to rock & roll! Here's the game plan: you pick out a gift basket of your choice for $6, you then pick out all the local items that he/she will love, proceed to the cashier to check out, wrap up your gift at the wrapping station with the self-serving bags and ribbon....then VOILA. You can put these babies together in an instant. In the gift basket I made for my husband, I selfishly included all of our favorite items: Rootstock Ciderworks Legend Cider, Guglielmo's Homegrown Marinara Sauce. Flour City Pasta, and Joe Bean Coffee. Other ideas could be incorporating a Hart's Local Grocers Mug, Flower City Poster from MYDARNDEST, local fruits, cheese or salami, Hart's gift certificates, Rohrbach's beer and the list could go on and on. The Hart's Gift Basket is your oyster, fill it with your heart's desires! Cost: My whole gift basket cost around $40, but you can customize it to your choosing and the cost can be cheaper or more depending how much you want to spend. 3 BEE PAPER HOUSE, Online or in Abode (289 Gregory St.) or Little Button Craft & Press (658 South Avenue). You may have seen Bee Paper House at your local craft show (E.g. Second Storie, Brainery Bazaar, etc.). This girl is everywhere these days! "Bee" or also known as Brittany Statt is an exceptionally talented artist who has been taking Rochester by storm with her artwork and handlettered designs. I first met Brittany about 1.5 years ago, when I was looking for someone to create my Sir Rocha Says Logo. I had seen Brittany's work on Instagram and fell in love with her aesthetic and felt compelled to work with her. Best decision ever. She is the creative genuis behind my handlettered Sir Rocha Says logo. I am so proud to see her business (which she only launched this year) taking off! Now what to get your friends and family? Easy. 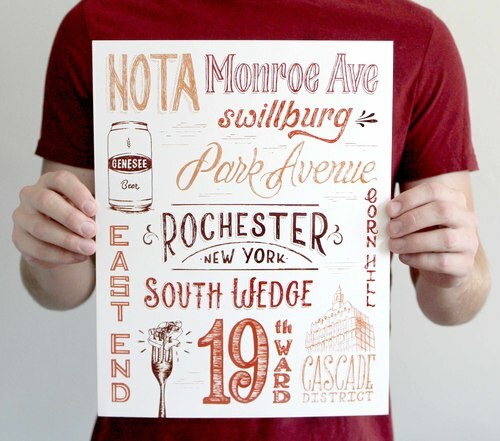 One of her poster prints, my ultimate favorite is the Rochester Poster Print of the different neighborhoods in the city. The other prezzie for your coffee loving fanatics would be the 'Give me Coffee' pennant. Pair this with a bag of your favorite local coffee beans from Glen Edith, Joe Bean Roasters, or Fuego Coffee Roasters and you're golden! Cost: Poster prints are available for $25 each and the Coffee pennant is $18. You can find them online or in Abode (289 Gregory St.) or Little Button Craft & Press (658 South Avenue). Glen Edith Coffee ($16) Joe Bean ($14), Fuego ($14). 4 BLACK BUTTON DISTILLING, 85 Railroad Street, 585.730.4512. Black Button Distilling is a local craft distillery located in Rochester that offers a place where all spirit geeks can unite, learn about the distillation process and taste products across Gin, Vodka, Whiskey, Apple Pie Moonshine, and more! Jason Barrett, Owner & Head Distiller, started this distillery at the age of 24 taking a giant leap of faith that this opportunity would pan out. His bets have paid off as Black Button has seen tremendous success, recently winning national awards for their spirits. I had the pleasure of guest bartending in their tasting room series over the summer and made some tasty cocktails firsthand! My first go-to gift here that you CAN NOT go wrong with is the Bourbon Barrel Aged Maple Syrup. Because what says I love you more than Bourbon Barrel Aged Maple Syrup? The syrup itself is sourced from Vermont & aged in local bourbon barrels to leave you with a hint of spice. Who is having pancakes and Bourbon Aged Syrup for breakfast Christmas morning? This girl right here. My other go-to would be the Black Button Citrus Forward Gin. Gin, you say?? Take it from someone who is more of a Mezcal/Bourbon fan and not so much Gin. However, this Gin uses less Juniper and more orange zest and is my kind of gin. This gin will be perfect when you make your holiday cocktail: Pomegranate and Rosemary Gin Fizz for your friends! Visit their tasting room today, I promise you will not walk out empty-handed. Plus I heard they are selling Black Button Cardigans now. Way more stylish than the Mr. Rogers ones you're thinking of! Cost: Bourbon Barrel Aged Maple Syrup ($37), Citrus Forward Gin ($32.99). 5 LOST BOROUGH BREWING CO., 543 Atlantic Ave., 585.471.8122. 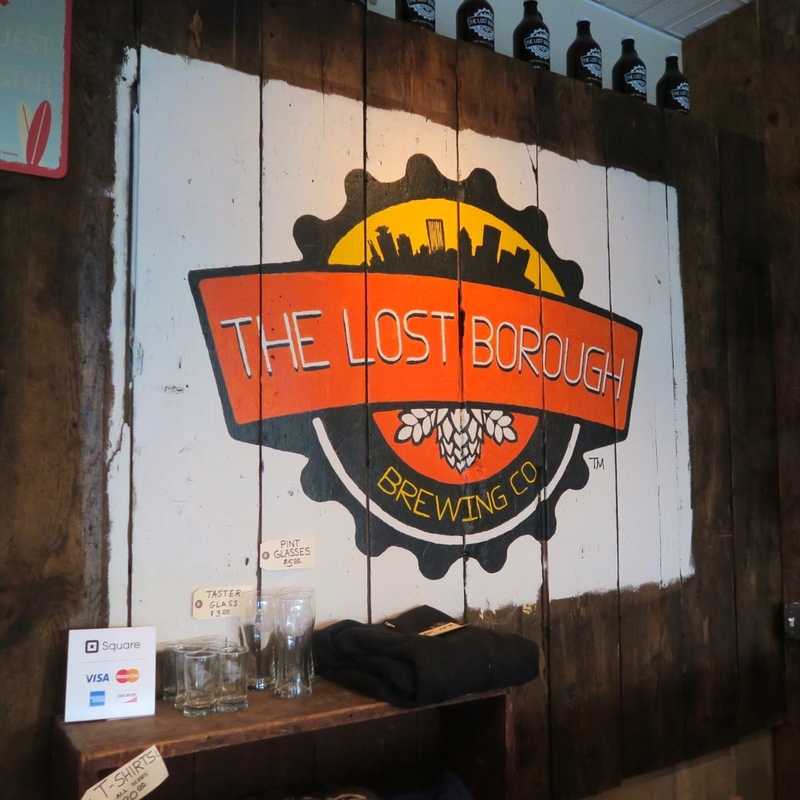 Lost Borough Brewing Co. opened their doors last year in November 2014, right near the original Sticky Lips. Their brewery has been making a buzz ever since with their flavorful brews and ultra cool merchandise. From growlers, craft beer guides, to Rochester posters you name it. There are many gifts here you can get for the beer aficionado in your house or a friend who is passionate about supporting local NYS beers. The first big daddy gift is the LBBC Holiday Package, you will receive: One 64 Oz Growler, One Free Growler Fill Up Card, One Borough Pint Glass, One Borough Half Pint, One Borough Sticker, Two Borough Tasting Guides, Four Coasters, and One Handmade Borough Double Growler Carrier. You can pick it up right in their store and sample some of their holiday brews like the Gingerbread Ale while you wait! If this is more than you were looking to buy, then pick up a tasting gift certificates. Each tasting is $7 and if you spend $50 on a gift certificate, you can $10 free. Beer me, please! Cost: Tasting Gift Certificates ($7), Rochester Posters in Orange or Yellow ($15), Pint Glass/ 64 oz. Growler (Beer is extra) for $5, Holidays Packs are available for $75 (a $125 Value). Rory working his magic at his pop-up in Scratch! 6 UGLY DUCK COFFEE, Ugly Duck Coffee is a pop up espresso bar that has the flexibility to move all around Rochester. You may have seen Rory Van Grol as a master barista at Joe Bean Coffee Roasters or serving it up at the Owl House. He is humble on this one, but I'm going to brag about him winning Best Barista in the City Newspaper's Best of Rochester 2015 Ballot. Congrats Rory!! He brings his friendly and thoughtful approach to 'getting ugly' with his coffee brews. You can typically find his pop-ups at Restaurant Fiorella on Saturdays in the Public Market, Sundays at Scratch Bakeshop from 12-4 pm (Better get your coffee & doughnuts) and at many special events around town. The most exciting news as of late is that Ugly Duck Coffee has found a new space to reside in 2016. Follow him to stay tuned!! Not only should you try Rory's coffee, but you should get one of his slick beanies to sport. He also have a 5 Panel Cap as well that I want to buy the next time I see him. A rad gift to get for the fellas or the ladies! Cost: Beanie ($15), 5 Panel Cap ($20). Alex serving up a 'Local Celebrity'! Hey Cooper! Show me how to make a Sloe Gin Fizz! The Classic Founders in the flesh! 7 FLOWER CITY DRINKSMITHS, 585.857.7885. 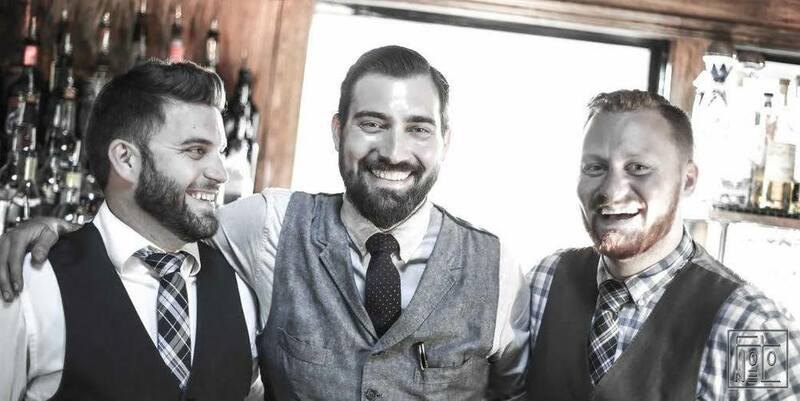 Flower City Drinksmiths was the brainchild from local Rochesterians & professional bartenders in our area: Cameron Phelps (Co-owner of The Daily Refresher), Alex Malec (Ox & Stone), and Frank Cooper Moorehouse (The Daily Refresher). They created this initiative as a way for others to learn, appreciate, and enjoy the art of bartending without pretension or intimidation. Trust me, this class is for all levels and so much fun to try! 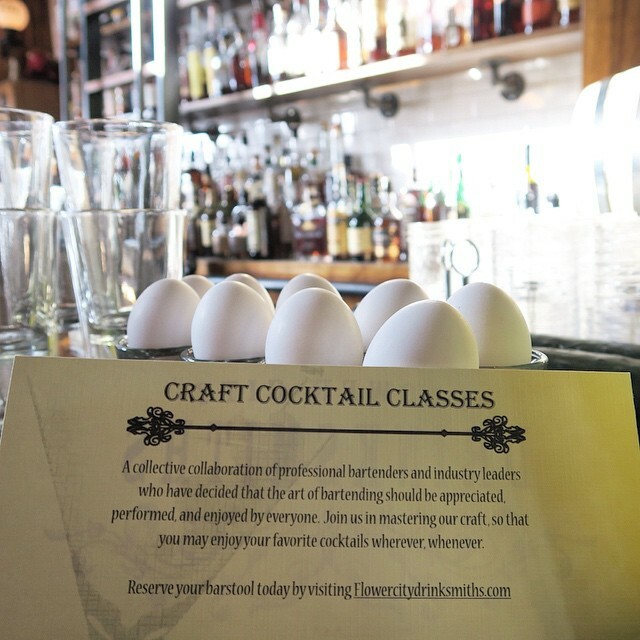 Each class is customized to a particular theme and can range from featuring a particular season, holiday, spirit/libation, or bartenders from other local venues such as Donny Clutterbuck (Cure) or Chuck Cerankosky (Good Luck). You will learn about the history of bartending, how to properly use tools and perfect your shake, taste & make cocktails, and have a grand old time with these talented makers! Classes have been held at The Daily Refresher and the Ox & Stone. Cocktail Alert: A Holiday Themed Cocktail Class is coming up on December 22nd with these drinksmiths. This would be great for a date night or something new to do with your amigos to release your inner bartender! Cost: Dec 22nd Holiday Themed Class ($43), Jan 24th Yoga & Champagne Class ($38). Hello Yoga Girl's Yoga & Champagne Shirt! Hello Yoga Girl & her sis drinking their Champs! 8 HELLO YOGA GIRL, Online or in Thread (654 South Avenue). You may recognize Hello Yoga Girl from her instagram yoga adventures all around Rochester. Hello Yoga Girl aka Nicole Kazimer is a Rochester native and also my fellow U of R Simon School Alumni Grad! We graduated from our MBA program back in 2013 and always had high hopes of chasing after our dreams. After graduation, she moved to Australia for a short while and became certified in yoga. She moved back to Rochester last year and this past summer started HikYoga an immersion of hiking and yoga taking Rochesterians to various hiking trails in Letchworth, Chimney Bluffs, Stonybrook (just to name a few) with pop-up yoga sessions. She is bringing her energy and light into her practice and life wherever she goes! She has launched an awesome line of apparel working with Tiny Fish Printing. The one piece that you should get for your namaste lovin' gal pal or lady friend would be a Yoga & Champagne long-sleeve. Yoga & Champagne works well in any occassion! In fact, Flower City Drinksmiths & Hello Yoga Girl are joining forces on January 24th and bringing you Yoga & Champagne Cocktails at the Ox & Stone! I'm liking the sound of this already. For details to sign up click here. 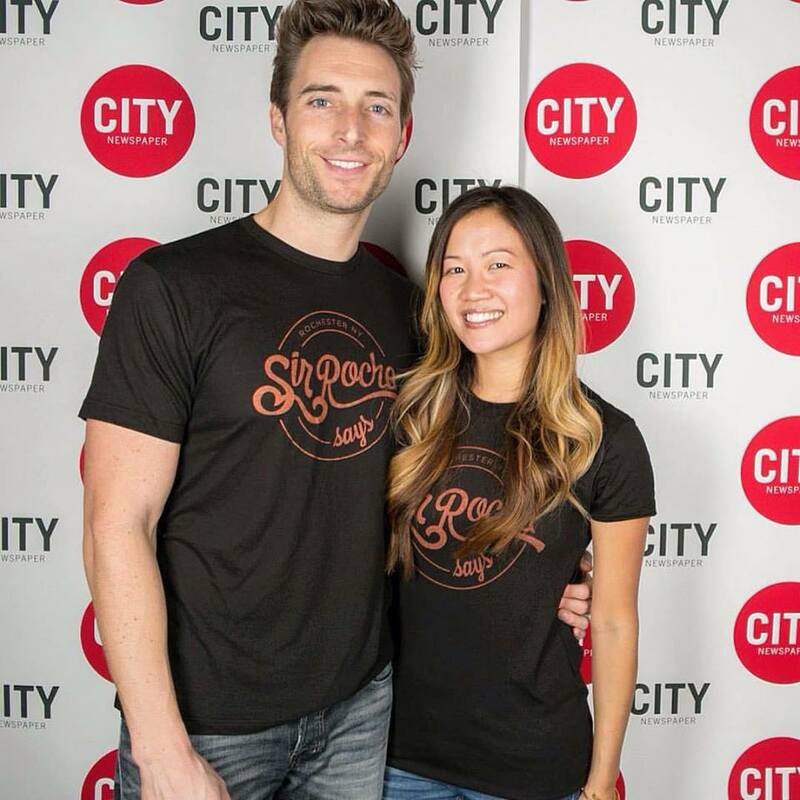 Cost: Yoga & Champagne Shirt ($40) , Yoga & Champagne Event ($38), Yoga Shirt & Champagne Event ($64). Ryan Baker, Manager ☕️ @uppercrustcakery/@glenedithcoffee greets his customers with love and makes the best dang Pour Over coffee! 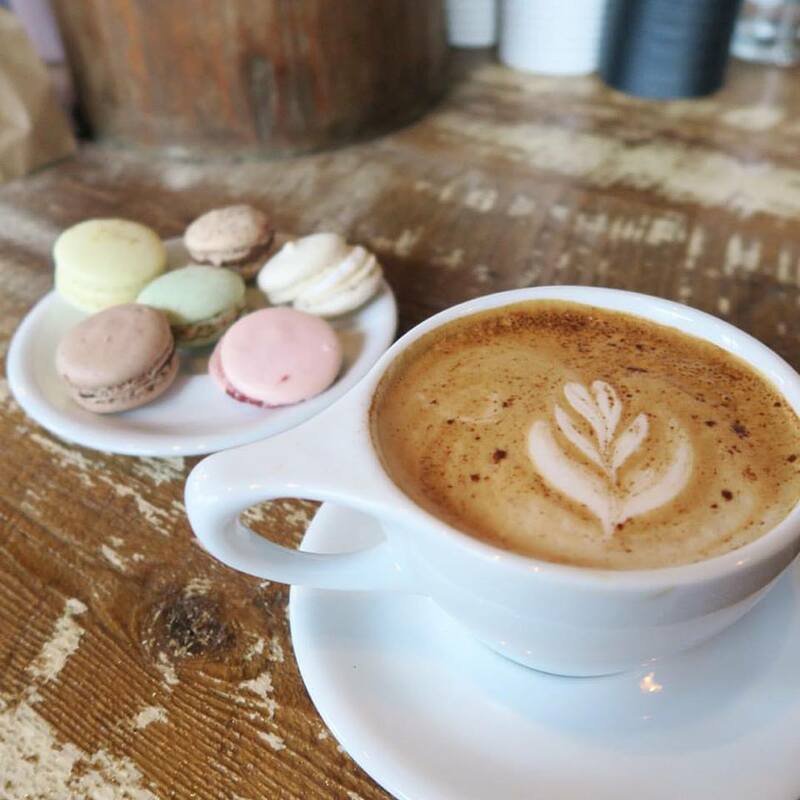 Autumn Spice Latte & Macarons at thew new Pour/Upper Crust Cakery location at 44 Elton St! 9 EMERSON & OLIVER, Online, Parkleigh (215 Park Ave), Blueground Jewerly (3349 Monroe Ave) and more. Emerson & Oliver was named after the children of lifelong friends and creators Mary Presutti and Laura Bascomb-Werth. All of their jewelry pieces are designed and handmade by these lady bosses and BFF's.If you ever get a chance to meet these women, you will fall in love with the warmth they elicit and their passion in giving back to the community. The gift you need to get for you friend or even yourself is their signature Dia bracelets. In all honesty, I wear mine ALL the time, they match with everything, even with my latte at Pour Coffee as featured above. These industrial springs are so versatile, easy to wear and don't tarnish or rust. You can keep building your E&O bracelet collections with charms or handcrafted bracelets that are made with local rock stars, Interstellar Love Craft. If you are looking for a smaller set than I would encourage you to buy these Triple Bar Dia bracelets. Two-toned is my middle name. These ladies just opened a new location at 34 Elton Street to make all their beautiful jewerly and host events. This location is next door to the newest Pour Location who collaborated with Upper Crust Cakery // Glen Edith off 44 Elton street! Cost: Dia Bracelets ($50), Dia Charms ($10), Triple Bar Dia ($25). My first store display at Abode! 10 SIR ROCHA SAYS, Online or in Abode (289 Gregory St.) Ooooo! Clearly the best presents of all time. Hearty Chuckle. :) In all seriousness, I take great pride in everything I put forth. To commemorate my one year anniversary last month, I created Sir Rocha Says tees with a copper-based metallic ink with Tiny Fish Printing (a local printing company in Rochester). They came out so BOSS and Tiny Fish was kind enough to write about the experience on their blog! The Sir Rocha Says Moscow Mule Mugs are 100% quality copper and embossed with a logo from our local designer at Bee Paper House. A unique and thoughtful present for those who love entertaining or just someone who likes a nice, chilled Moscow Mule. The 'Mini' moscow mule mugs (the newest addition) can serve as ornaments for the tree or sweet little shot glasses. Bottoms up my friends! I have received a lot of favorable feedback thus far about how soft and vintage the shirts feel and that the Moscow Mule mugs are a killer addition to people's bar set. All of these items are available online or at Abode in the South Wedge. Abode, by the way is another fantastic spot to get MANY local Rochester gifts. Happy shopping and drinking! Cost: Sir Rocha Says Tees ($20), Moscow Mule Mugs ($22), Mini Mugs ($15). I hope you found today's blog post valuable in your last minute shopping and for future gift ideas. Happy holidays to all and can't wait to explore more of Rochester with you all next year! May your season be merry and bright!